Your wall to wall carpet is evolving a nasty smell? Wondering how to clean coffee stains off your carpet? Better Cleaning Company is an professional carpet cleaning Bryanston And Dorset Square NW1 company that assist you at an affordable price. Our carpet cleaners are all experienced and trained to deliver a top quality carpet spot cleaning service in the area. Call 020 3746 3201 or send us an inquiry online today. We will give you a non-binding and free quote 24/7. Cost-efficient carpet repair from the best cleaners ! Carpet Care Done By The Best Cleaners In Town! We Clean Them All! Better Cleaning Company began its expert carpet cleaning service ten years ago and over time we became the top desired carpet cleaners in Bryanston And Dorset Square NW1. Our recognised cleaning services company can have all types of carpet cleaned in a professional and safe manner. Our services are fully covered by insurance. We use professional cleaning equipment, detergents and machines. On demand, we can apply carpet deodorant and stain protection spray too. For a cleaner and prettier carpet - book our expert carpet repair service now! We provide the most efficient carpet cleaning methods for thorough cleaning of synthetic or natural carpets, including dry carpet cleaning and steam carpet cleaning Bryanston And Dorset Square. 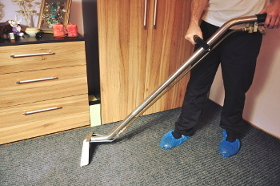 Every carpet cleaning procedure begins with hoovering and an examination of the carpet's fibres. The solutions are tested and the stains and high traffic areas pre-treated. According to the type of carpet, either our steam carpet cleaners will use a hot water extraction machine to wash and rinse your carpet, or our dry carpet cleaners will execute a safer dry shampoo cleaning that doesn't use water. As leading carpet cleaning Bryanston And Dorset Square NW1 experts, we offer public holiday and weekend availability and a easy reservations system to all local businesses and people. We are available every day of the year, and the earlier in advance you make your booking, the better our price offer will be. Regular customers, estate agencies and landlords too get preferential for our local cleaning services. We give up to 15% discounts for every extra service you order along with the carpet cleaning. Call now - 020 3746 3201!